The city council was presented in November a 20-year vision for Sammamish, called “Sub Area Planning,” prepared by two Planning Commissioners, Eric Brooks and Jane Garrison, that calls for a massive change to the character of the city. The vision, touted by Planning Commission Chairwoman Shanna Collins as “a new vision, a new up-to-date vision, for the next 20 years,” calls for upzoning throughout the city to make neighborhoods “walkable” by turning them into mini “town centers,” with apartments and commercial spaces. Upzoning means to increase the density of housing that is allowed. For example, most neighborhoods in Sammamish are currently zoned R-4 which means four units can be built per acre. This translates into the single family home type neighborhoods seen in most of Sammamish. When “upzoned,” these same neighborhoods could be designated as high as R18/24, allowing high density apartment buildings with up to 24 units per acre directly adjacent to the existing single family homes. R18/24 density necessitates multi-story construction. An example of this type of upzone can be seen where the new Plateau 120 apartments sit next to single family homes in the new Town Center. The net effect of the upzone could be multi-story apartment homes appearing in what are currently single family homes neighborhoods. A conceptual map of the plan, above, shows neighborhoods throughout the city, designated with black circles, that are envisioned to be transformed to high density “walkable” neighborhoods with apartments and retail space replacing single family homes. Their illustration below depicts the Tibbets Station neighborhood (Duthie Hill Road & SE 32nd Str4eet) and how it may be transformed under the new vision. The single family homes that make the neighborhood today will be replaced with apartments and commercial space (R18/24) at its center and be surrounded by high density townhomes (R8). The plan’s description follows the same narrative that applied to the Town Center during its planning phase–that high density development with commercial space reduces traffic as people walk to services and use more transit. “We give up cars when the cost outweighs the benefits”, said Garrison in a Nov. 15 Planning Commision meeting, “We’ve got to start forcing people to want to get rid of their cars. Make it inconvenient. Like Seattle, “ added Garrison, when suggesting prohibiting parking spaces in the new vision. Garrison and Brooks’s full plan can be found here. The “Sub Area Planning” vision is one part of a greater, and formal, update to the city’s comprehensive plan, called Homegrown, being recommended by the Planning Commision and staff. The work on Homegrown started in September 2017, by the previous council, to update the housing element (chapter) of the city’s comprehensive plan. The plan then proceeds to prescribe strategies of how to “close” the gap that will result in a massive transformation of Sammamish housing to increase high density units. The plan includes data about the makeup of the current housing inventory in Sammamish and concludes that there are gaps in the types of housing in Sammamish compared with other cities. A decision to “close a housing gap,” or in other words, change the character of Sammamish, is a policy decision vested exclusively with city council. Nevertheless, the city council has not given such direction to staff or the Planning Commision, making Homegrown an unsanctioned policy-making document, developed independently from city council. 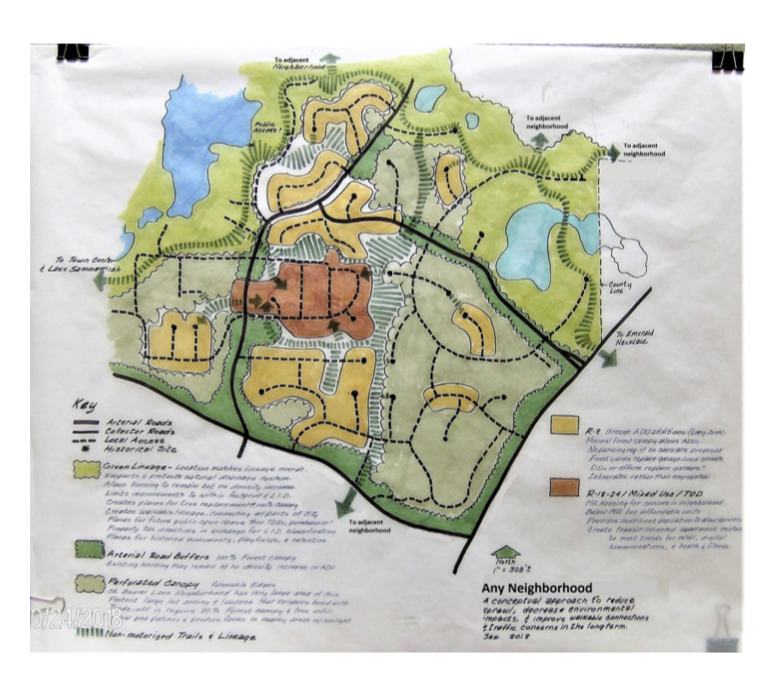 The Planning Commission’s desire to upzone was evident when it debated “Homegrown” on July 19. During the meeting, Collins made it clear she’s mostly concerned that the Town Center plan doesn’t have enough units and what is most important to her was to look at increasing the number of units in the Town Center. “Homegrown” can be viewed as justification to upzone the Town Center to a higher number of apartments. Currently, the Town Center is planned for about 2,300 units, mostly apartments. Collins believes that’s not nearly enough. For comparison, Issaquah Highlands is about 4,000 units, in total. Garrison, who headed the development of the sub-area planning vision, said she doesn’t want to start thinking Town Center is the only place for mixed use (apartments and retail) and wanted to expand it to other areas, no matter where it is. “Homegrown” has been developed by staff in deep cooperation with ARCH (A Regional Coalition for Housing). The Planning Commision heard from Staff, ARCH and the builders. Staff also met or contacted “Human Services Providers” (Friends of Youth, LifeWire, Issaquah Food & Clothing Bank, and Issaquah Community Services), local businesses and Lake Washington School District. It was not explained how these groups were chosen and how they represent the residents of Sammamish. The residents were represented through an online survey that ran for 21 days and collected responses from 474 individuals (what the plan calls a “community-wide survey”). When asked whether they agree with the statement that “There is more single family housing for families [in 20 years],” only 19% disagreed, showing very little support for high density housing from the survey respondents. The builder’s involvement in Homegrown is not hidden. The plan includes a summary of meetings the builders held with the Planning Commission and several strategies the document recommends are labeled as offered by builders. Builders are expected to advocate for more development, but a yard sign recently created by the Master Builders Association reveals a marketing campaign to build support for high density housing that uses emotional messaging designed to play on residents’ social conscious. 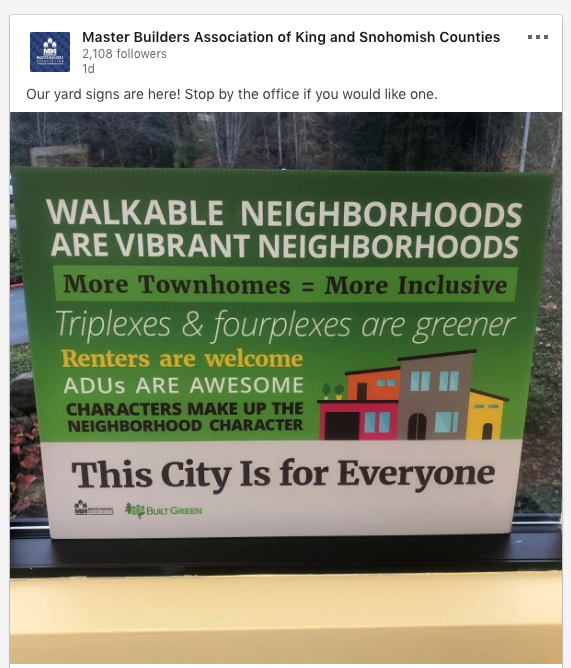 “Walkable neighborhoods,” “Vibrant Neighborhoods,” “Neighborhood Character,” high density housing (triples, fourplex and ADUs) and affordable housing (“this city is for everyone”) are all messages that can found within Homegrown. City council first saw a draft of Homegrown in September, and of Sub-Area Planning in December. Mayor Christie Malchow, Deputy Mayor Karen Moran and Council Members Tom Hornish and Chris Ross reactions ranged from skeptical to negative. Council Members Jason Ritchie and Pam Stuart were highly supportive of both Homegrown and Sub-Area Planning. Council Member Ramiro Valderrama also voiced support but not enthusiastically as Ritchie and Stuart. Sub-Area Planning puts forward spreading high density development throughout the city, a 180 degree change in development policy. Many people supported the Town Center on the belief that it would limit growth to the Town Center and inhibit development throughout the city. After getting push back from the majority of city council, staff has trimmed the more aggressive upzoning implementation strategies; however, leaving room to reintroduce those in the future. Three council seats are up for election this year: Malchow, Valderrama and Hornish’s. Homegrown and Sub Area Planning represent a dramatic change to the character of Sammamish, making it look more like Bellevue. Former city council candidates Mark Baughman and Ritjua Indapure are on the Planning Commision and supported the proposals and may run for the city council.. Sources speculated to The Comment that it’s possible Planning Commision Chair Collins may consider running this year as well. Should those three decide to run, it would give Sammamish voters a clear choice whether to support the high density vision of the Planning Commission or possibly an alternative vision supported by other candidates. I agree. Traffic is a gridlock at many times of the day. Our streets barely handle present, daily traffic while attempting to drive on or off the plateau. As continued new homes are built, we are realizing overcrowded schools and poorly thoughtout infastructure. Planning seems to be minute to minute rather than with a sense for future needs and their costs. Sammamish is a City, it has an obligation to provide services to its citizens. If it’s not up to the task, then maybe it could be split in half and annexed by Redmond and Issaquah. Who decides if this passes or not? Is it the city council that votes on this, and if so, when? Does the Homegrown plan come with resources for more roads, parking lots, public transport, schools, facilities to accommodate for the added density? City council votes on Homegrown tonight. The Council approved it (as amended) 7-2. The pro-development councilmembers obviously voted for it, and managed to bring a couple of others along by emphasising that there’s nothing in the plan that *requires* anything be done (for now). Obiously, I meant 5-2 in my previous post. Must have been thinking of the Supreme Court or something. Good God these people just don’t know when to quit. Every single planning committee member who voted for this plan needs to show some integrity and resign. They are clearly not voting with the best interest of Sammamish at heart. The WSJ reported today that Microsoft is giving $500M to help build “affordable housing” in the Puget Sound area. I’m sure these builders are stepping all over each other to try to get at that pot of gold. It’s time for Microsoft to look for HQ2 elsewhere like Amazon, perhaps in Portland or Mumbai? Western Washington simply cannot absorb any more people without massive irreversible degradation to our environment. The infrastructure in this whole area simply cannot keep up. Until the two choke points getting on and off the plateau is addressed, there needs to be a moratorium on ALL further building in Sammamish. I pray that Malchow and Hornish get re-elected. They are the best advocates of current Sammamish residents. Valderama, Pam Stuart and Jason Ritchie all need to go. 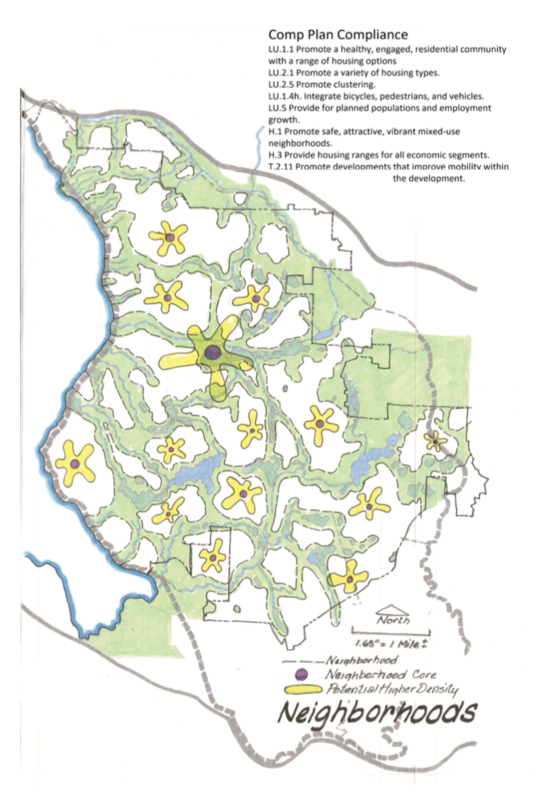 They will destroy Sammamish within 5 years with their pro mass development insanity. How about we boot Mr Hornish, who should have resigned when he took the job in Southern California. Or Ms Malchow who doesn’t seem to accomplish much but spends tax revenue at the drop of a hat with not much to show. If you recall they spent a year developing a concurrency model designed to stop growth. So why all the uproar? Were the citizens sold a bill of goods on the concurrency model by Malchow and pals? Do you really want to see more clear cutting for single family homes – don’t we have enough of those? I also recall Mullor complaining about too many housing units in the Town Center. Housing is coming, best to decide how it will be distributed and ensure that apartments, town homes,etc are included so that you can attract and keep teachers or the quality of education in Sammamish will decline. [—- reader comment was edited for rules violation — ]. Look around us, Cities are making some tough decisions and progressing while Malchow and pals are content to just admire the problems. Pitiful. When stupidity takes over, the rest of us will pay the price.